Being originally from California, I had a hard time getting used to cold Maryland winters. Even though I’ve lived on the East Coast for over 15 years now, I still haven’t quite gotten used to how cold I get in January and February. It seems that no matter how many layers I put on, my fingers are always freezing. That’s why I decided to stop enduring the cold and do something about it by making some homemade pocket hand warmers! 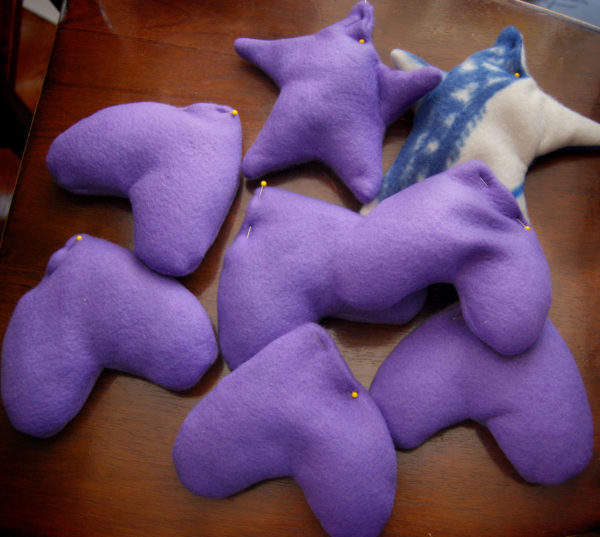 To begin, make yourself a pattern out of any simple shape…we chose hearts and stars. 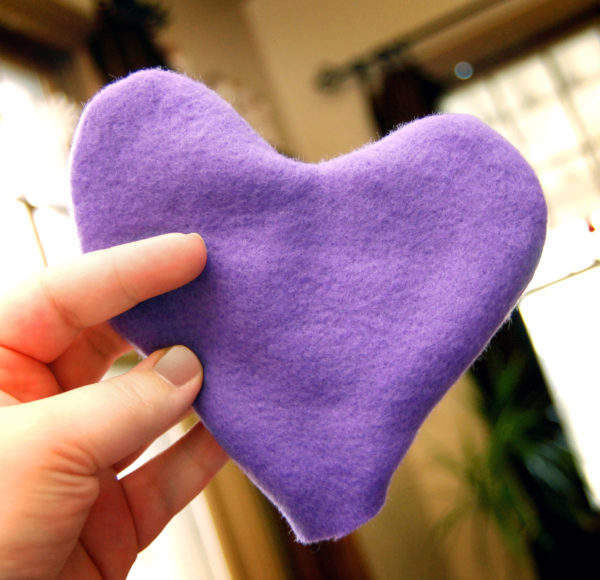 Cut out two pieces from your fabric for each hand warmer. Fleece is a good choice because it’s just a bit cozier, but any fabric will do. 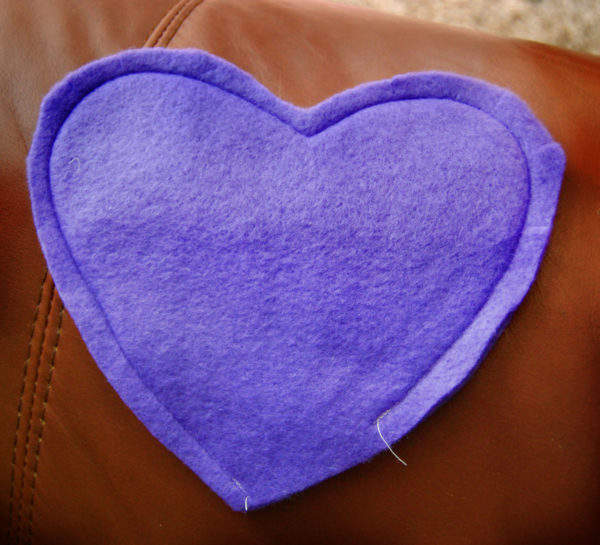 Place the right sides of each piece together and sew around the shape, leaving a 1/4 inch edge. Be sure to also leave an opening of about 1 1/2 inches so that you can fill your hand warmer. 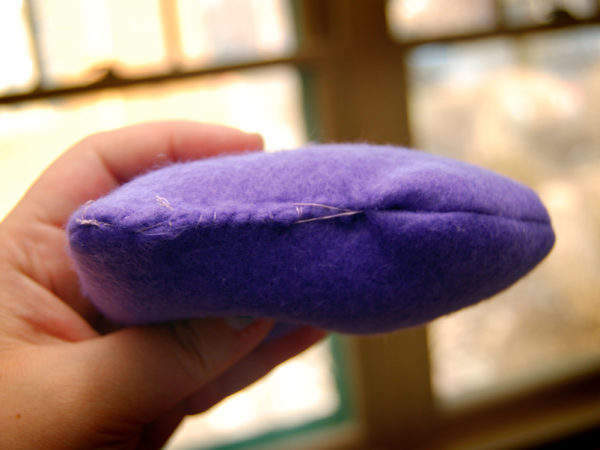 Turn your hand warmer inside out, so that the right side of the fabric is now on the outside. 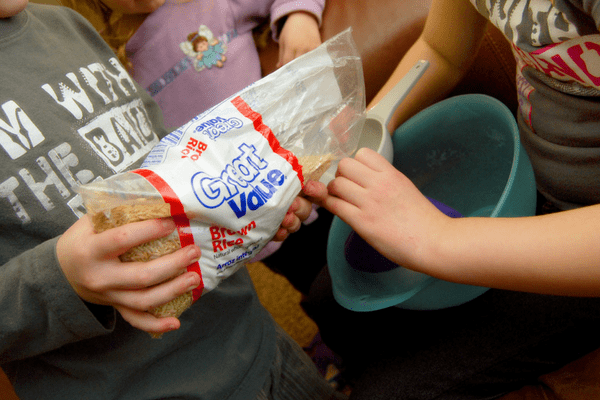 Using a funnel, fill your hand warmer with uncooked rice. The amount of rice to use will depend on how big your hand warmer is, but make sure not to overfill your shape. When each hand warmer is full of rice, fold the opening in nicely and pin to hold it closed. Using a needle and thread, sew the opening closed so that no rice can get out 🙂 To use the hand warmer, simply pop it into your microwave for about 15-20 seconds, then slip it into your pocket to help keep those fingers warm! 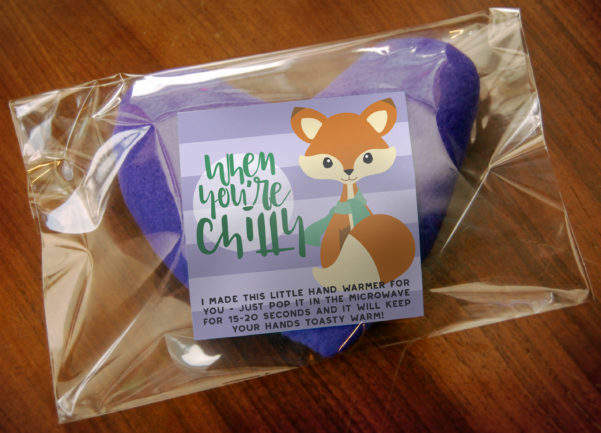 If you’d like to give these homemade pockets hand warmers as gifts, print off the gift tag printable below on a nice cardstock and either tie a tag onto each hand warmer, or place a hand warmer and tag into a clear plastic bag. I think anyone would appreciate such a practical and pretty gift, especially during these cold winter months! 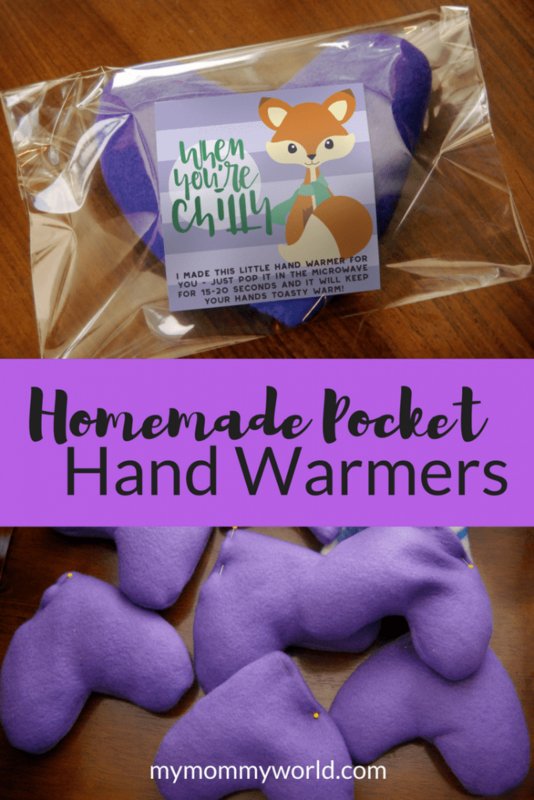 I hope you’ll have fun making these homemade pocket hand warmers with your kids…and that they’ll keep little (and big!) fingers a bit warmer this winter! I’m on the west coast but we are up north and this winter has been brutally cold. With a foot of snow earlier this month and more on the way, it was hard to keep warm. I was using two pairs of gloves and my hands were still cold. We’ve made similar hand warmers in the past. They are also great for storing in the freezer for soothing bumps and bruises the kids might get. I think we only have one left now but it still works great hot or cold. I didn’t think about putting these hand warmers in the freezer, but I love that they can be used as an ice pack for any boo-boos. I’ll have to make some extra for the freezer 🙂 Thanks Shelly!